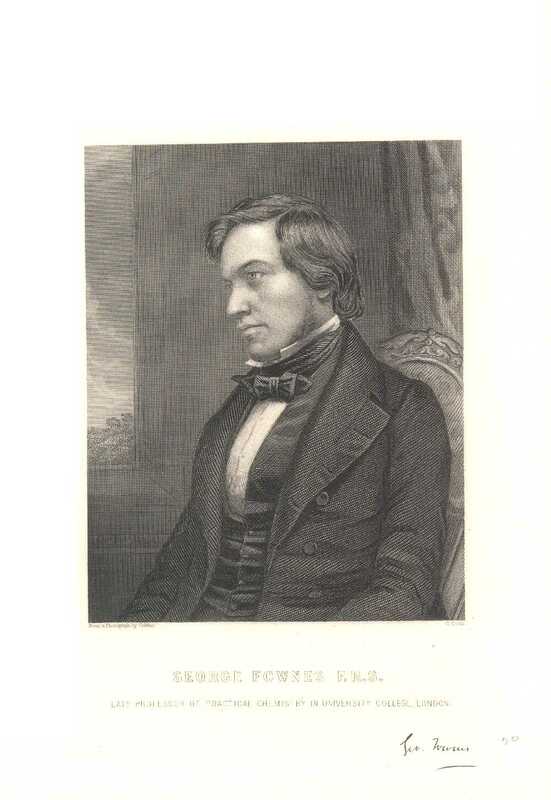 English chemist who prepared furfurine and benzoline (1845), the first examples of vegeto-alkali or organic salt-bases, as they were known then. Fownes was the first winner of the one hundred guineas (£105) Actonian Prize from the Royal Institution. From very ancient times, the question of the constitution of matter with respect to divisibility has been debated, some adopting the opinion that this divisibility is infinite …. We have absolutely no means at our disposal for deciding such a question, which remains at the present day in the same state as when it first engaged the attention of the Greek philosophers, or perhaps that of the sages of Egypt and Hindostan long before them. In Elementary Chemistry, Theoretical and Practical (1854), 206. Note: this was the limit of knowledge, or even speculation, decades before the discovery of the nucleus, electron, proton and other particles. 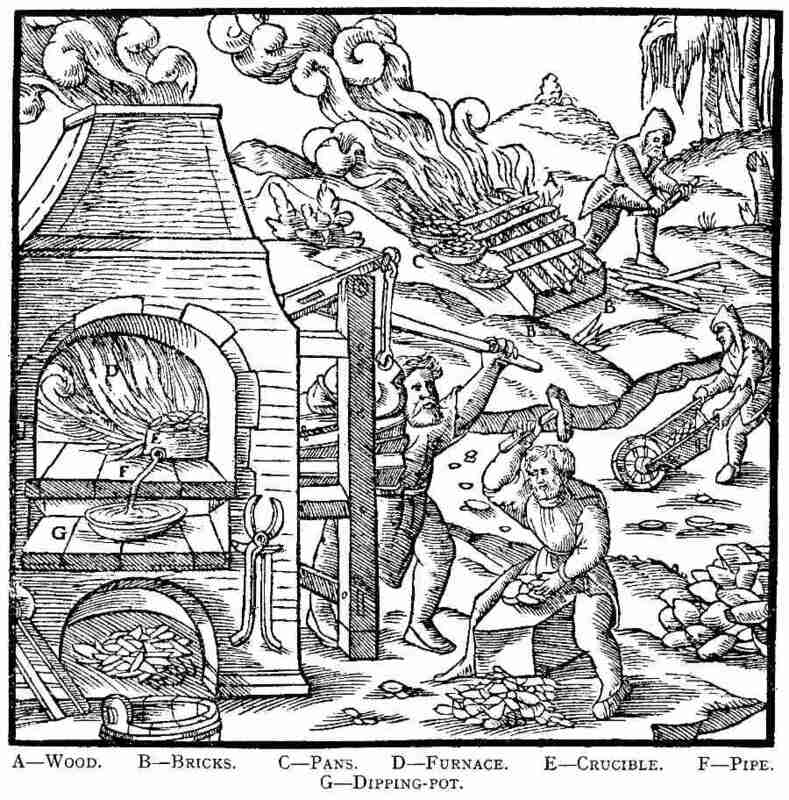 There are few substances to which it [iron] yields in interest, when it is considered how very intimately the knowledge and properties and uses is connected with human civilization. In A Manual of Elementary Chemistry, Theoretical and Practical (1858), 310. 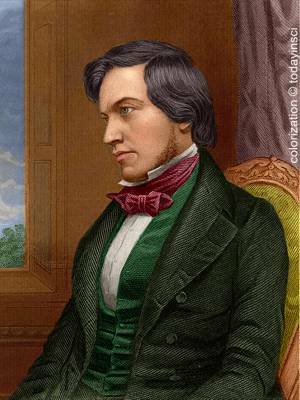 14 May - short biography, births, deaths and events on date of Fownes's birth. The Actonian Prize - first awarded to George Fownes (1844) - from The Galaxy magazine (1872). Galaxy Magazine (Jan 1872) - article on the Actonian Prize. George Fownes - Chemistry, as Exemplifying the Wisdom and Beneficence of God (1844). 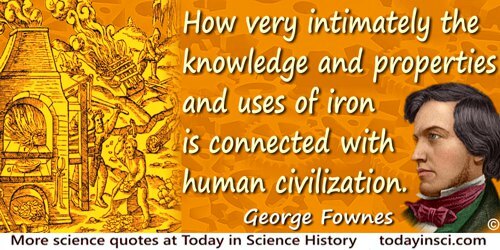 George Fownes - A Manual of Elementary Chemistry, Theoretical and Practical (1869), 10th ed.